With a Total of 32 Awards, LG Electronics Proves its Industry Leadership in Design and has emerged as the clear winner in this year’s Red Dot Awards for design excellence. LG’s impressive 32 honours include two Best of the Best awards and 30 Red Dot Awards. As a recipient of double Best of the Best awards in the same year, this recognition from Red Dot confirms LG’s place at the vanguard of both technology and design leadership. Among the products honoured as setting the gold standard in design with Red Dot’s prestigious Best of the Best award were LG Electronics’ 4K OLED TV (model 65E6) and Bottom-Freezer Refrigerator (model GA- B489SADN/GA-B489TADN), helping to give LG a diverse portfolio of award winning products unmatched by any other company. Red Dot is widely seen as one-third of the world’s top design committees, along with the IF Design Awards and IDEA (International Design Excellence Awards). This year, out of a total 5,214 products submitted from around the world,only approximately 70 products were designated Best of the Best for their innovation and design leadership. The LG 4K OLED TV boasts a slick appearance and chic charms while maintaining the distinctive design of LG’s premium OLED televisions.Complete with the company’s unique Picture-on-Glass concept, the LG 4K OLED TV exudes an aura of class and sophistication while bridging the gap between modern trends and timeless style. Equal parts television and modern art masterpiece, the polished LG 4K OLED TV is approachable from any angle, effortlessly blending into any environment. LG’s emphasis on forward-thinking design can also be clearly seen in its sophisticated Bottom Freezer Refrigerator. Unlike other models that implement unwieldy bar handles that project outward from the refrigerator, the Bottom Freezer Refrigerator features an innovative Easy Open Handle that is tucked away at the bottom of the door, making it almost completely imperceptible.The refrigerator’s stylish trim is also equipped with refined mood lighting, making the doors easy to open at all hours of the day. In addition to its two Best of the Best awards, LG received 30 additional honours from the judges at Red Dot. The LG SIGNATURE Refrigerator was honoured for its Knock-on Door-in-Door™and Auto Door Open features while the LG SIGNATURE Washer was recognized for its double load capability as well as its touch-enabled user interface inits glass door.Judges were also impressed by the LG SIGNATURE Air Purifier with its transparent window that allows users to watch the air purifying process at work. The LG SIGNATURE OLED TV was also honoured, with judges citing its ultra-thin 2.57 mm glass panel and other luxurious elements. 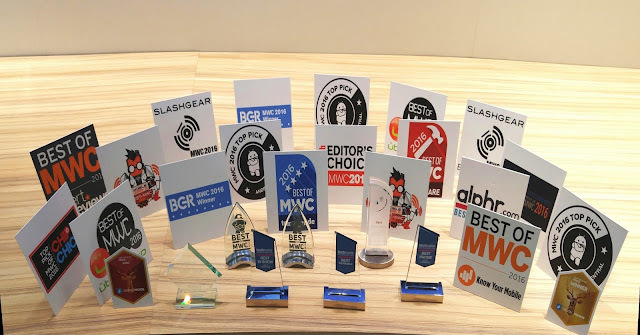 The LG G5 smartphone, featuring a sleek, metal uni-body with a Slide-out Battery and Modular Type design, also received honours along with three LG “Friends” (360 VR, 360 CAM, TONE Platinum), a collection of companion devices.